What a fun time this past week seeing all the great projects on “Making it thru Monday”! 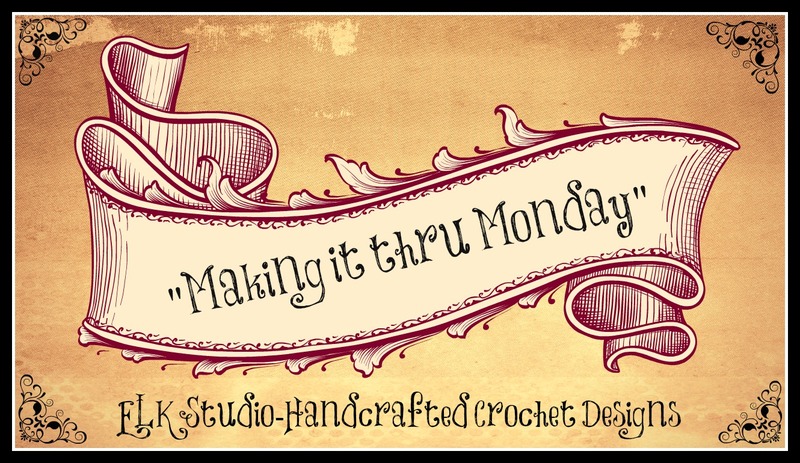 If you would like to send your wonderful creation, email me at elkstudiocrochet@gmail.com or you could upload your photo to my ELK Studio Facebook page. Now, let’s get started. 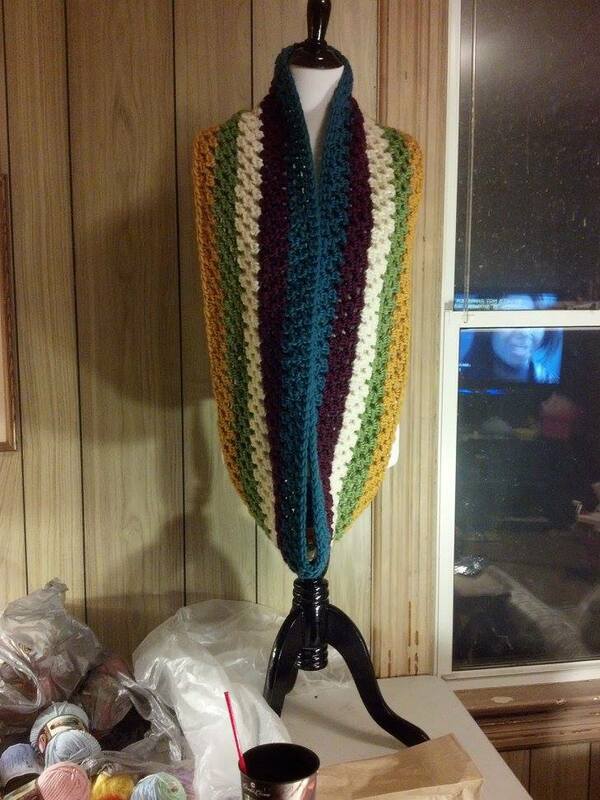 Our top submission comes from Cheryl Kardell showing off her stripped, over-sized cowl that she calls SPECTACULAR! I totally agree with her name because it really is a great accessory to add to anyone’s wardrobe. I’m so glad Cheryl decided to show off her great project. Here are two views for you to drool over! 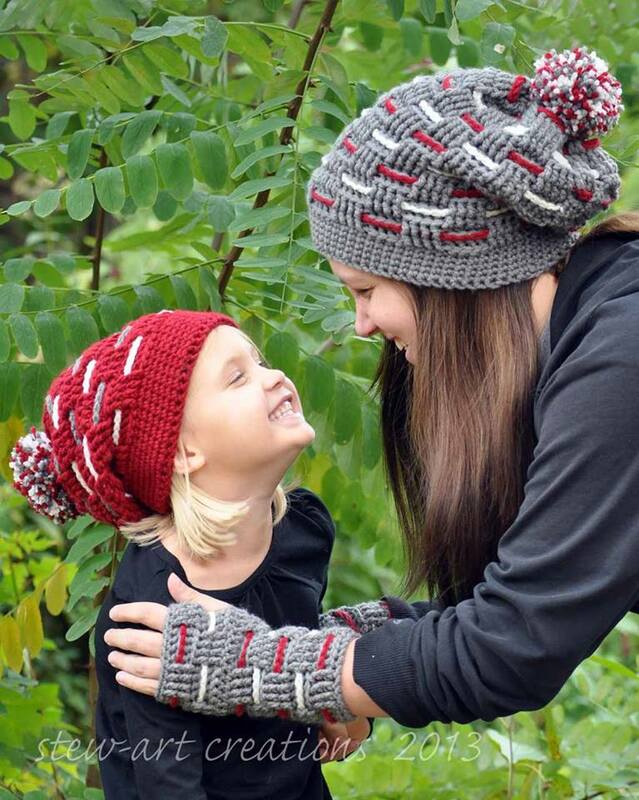 Our 2nd most viewed submission designed by Jennifer from Stew-Art Creations is quite a beauty!She made these wonderful fingerless gloves to match the basket weave hat! It’s a great set for anyone this upcoming winter months and don’t forget that Christmas is just around the corner too!! 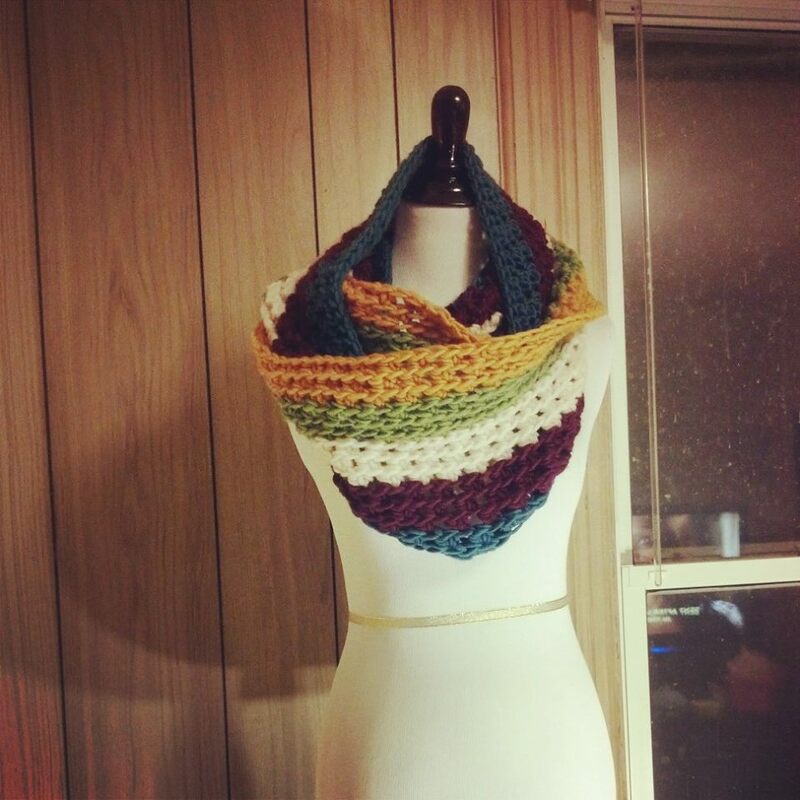 You can find this wonderful pattern on Ravelry for your convenience! I want to thank everyone that joined in last week and look forward to seeing what’s been on your hook today!! Now grab your “I’ve Been Featured” button for your blog! Great patterns, thanks for sharing. Love the basket weave hat and mitts. Going over to Ravelry to pick up the pattern. Thank you for sharing. Congratulations to most viewed entries, both are fantastic. These are lovely, my list of “things I want to make” just keeps getting longer!